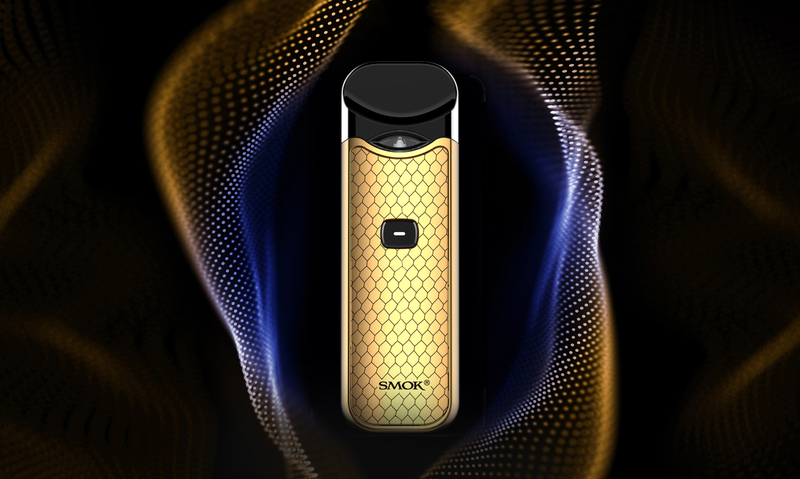 SMOK Nord is a brand, button-triggered pod system device. 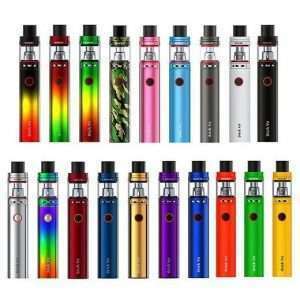 It has a 1100mAh battery capacity and is equipped with two new coils, Nord Mesh 0.6Ω for direct lung vaping and Nord regular 1.4Ω for mouth to lung vaping. 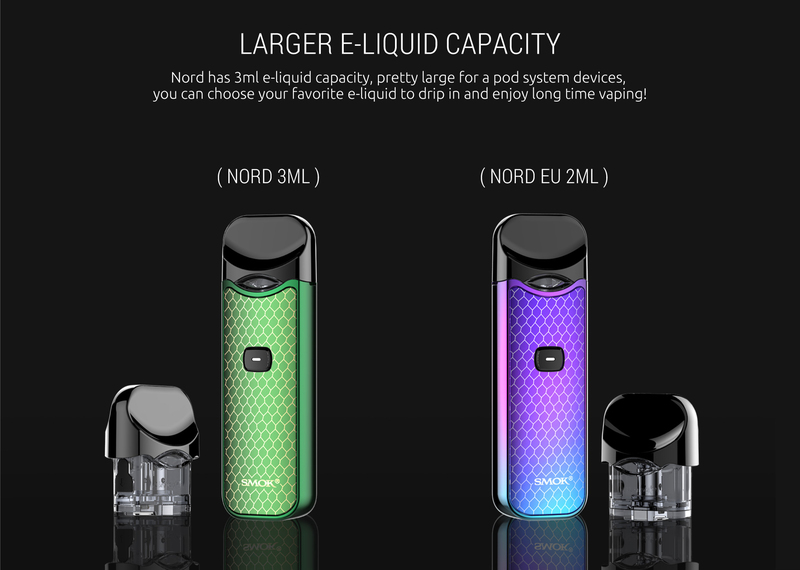 Nord is the perfect size for you to hold, with a newly added button to start vaping and provide information about battery life. 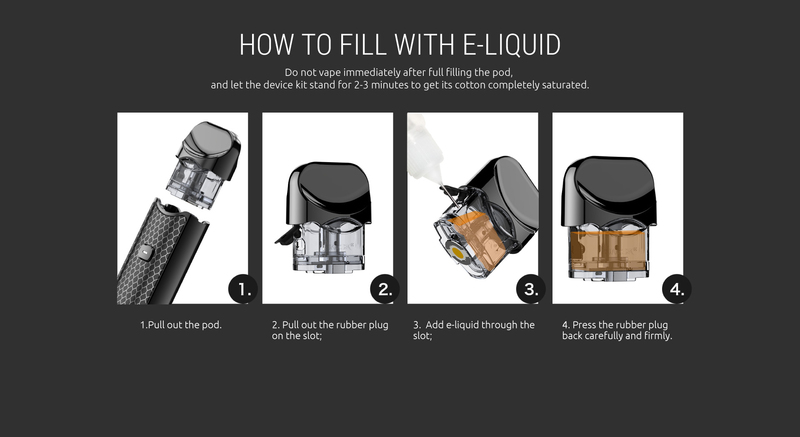 There’s also an e-liquid window on the pod for your convenience! 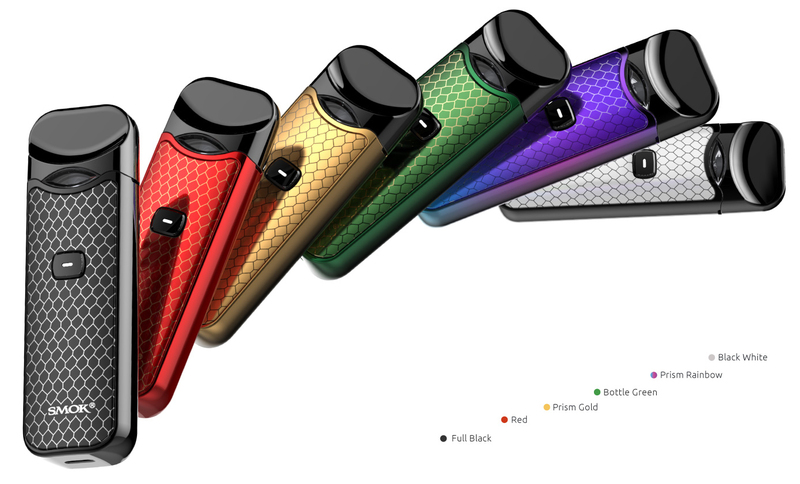 Nord is a distinctive pod system device, it is button triggered with a large capacity battery and has a cobra style finish on the main body to offer an exquisite and wild look. 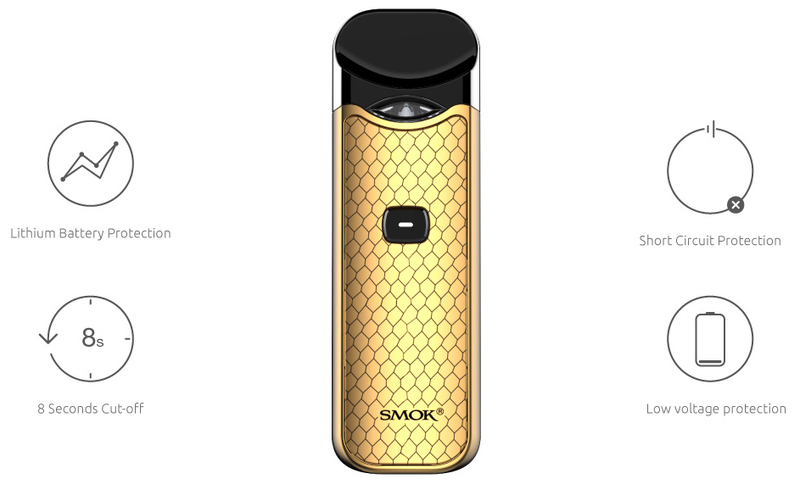 Similar to regular vape devices, Nord is button-triggered. 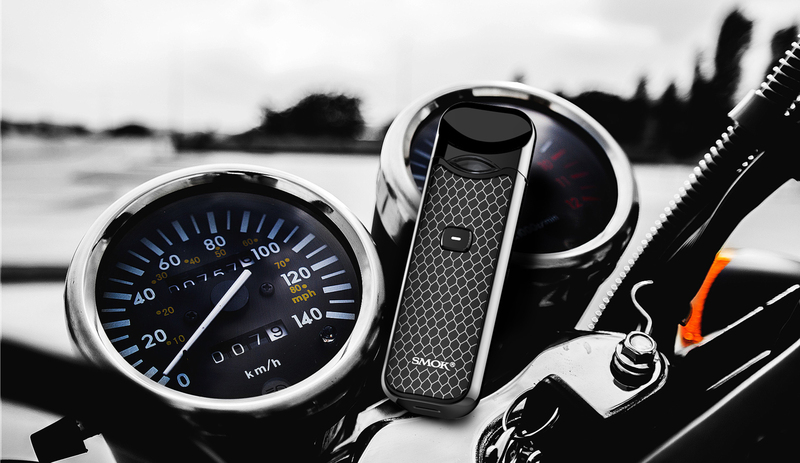 Press the button five times to power on the device and hold the button to vape. 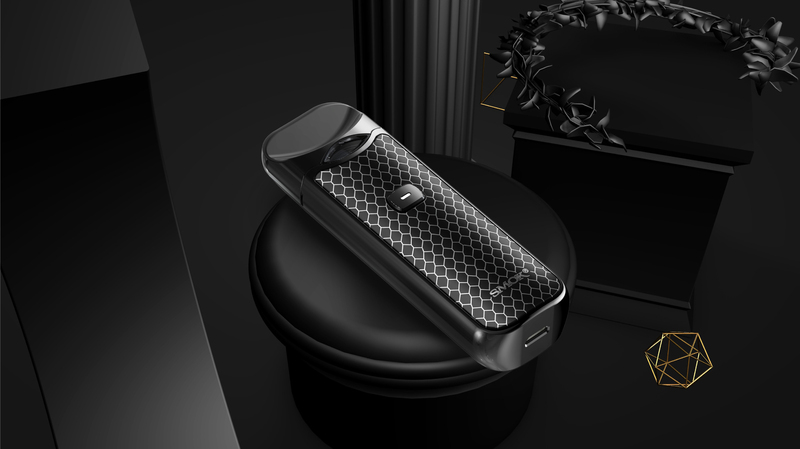 Nord’s mouthpiece continues the duck-billed design to perfectly fit your mouth and offer a better user experience. 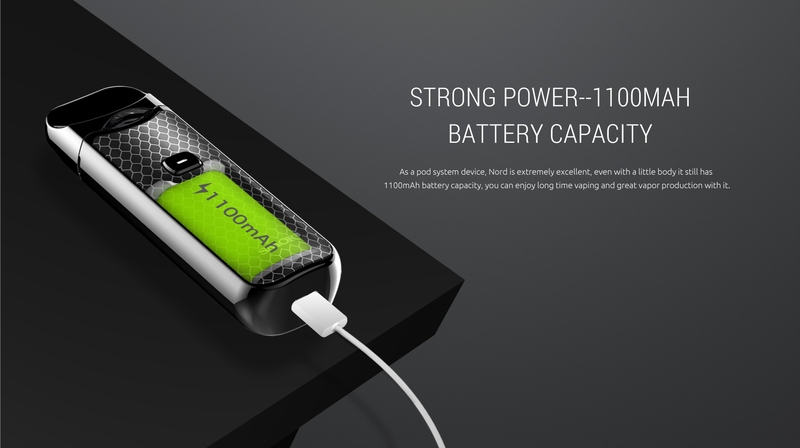 Nord measures just 94 x 30 x 18.8mm, which makes it easy to store in any bag or pocket. 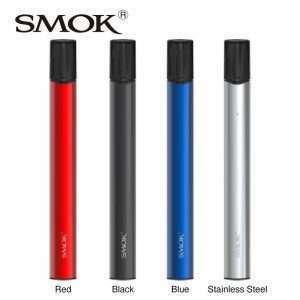 The Smok Nord kit has three coil options. 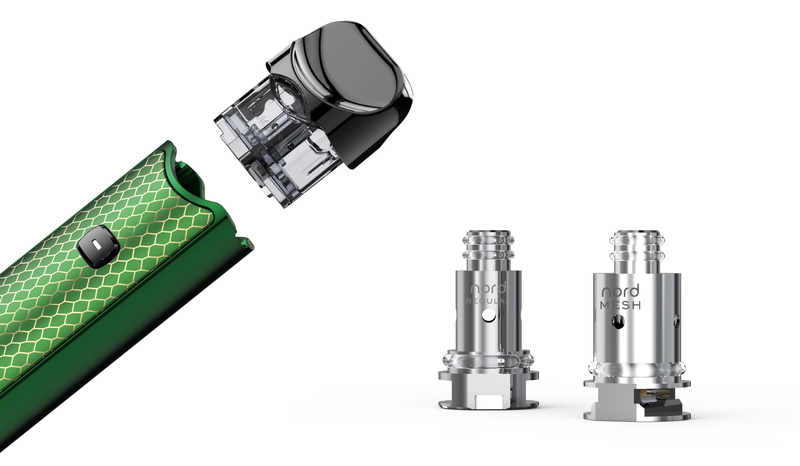 0.6Ω mesh DL, 1.4Ω MTL and 1.4Ω Ceramic. 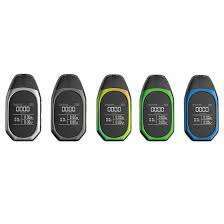 The 0.6Ω mesh coil is specially designed for sub ohm vaping, it has a large mesh inside, giving a faster heating process and massive vapour clouds. 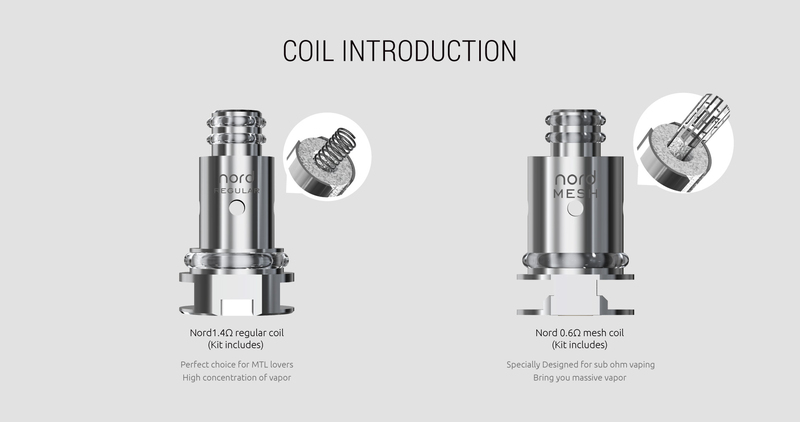 The 1.4Ω regular coil is designed for MTL vaping, for which you can enjoy a throat hit with similar to smoking. 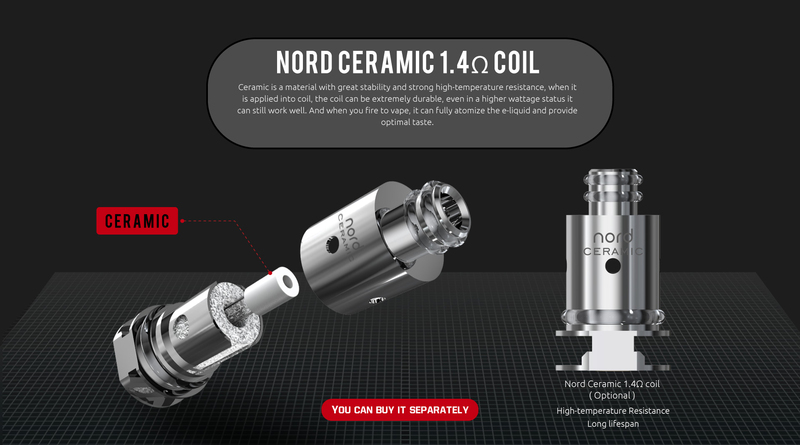 The 1.4Ω Ceramic coil is designed for MTL vaping but works better for those who like to chain vape a little. 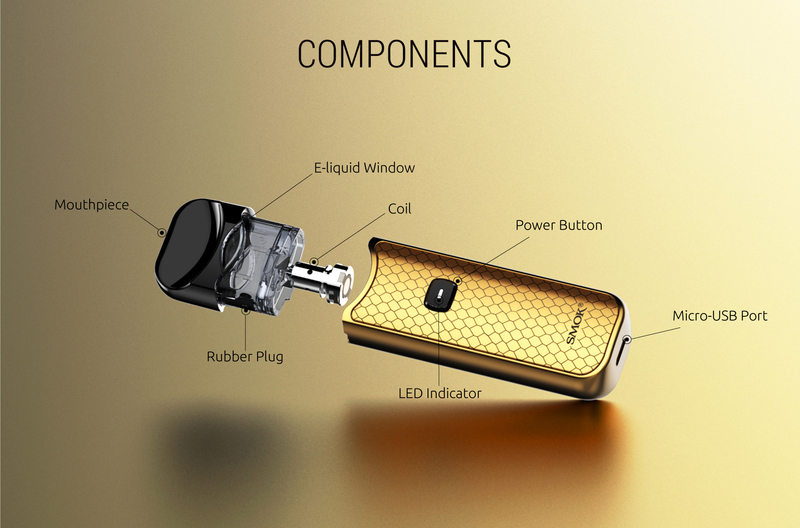 This is due to the ceramic material coping better with higher temperatures that might be seen with heavier vaping. 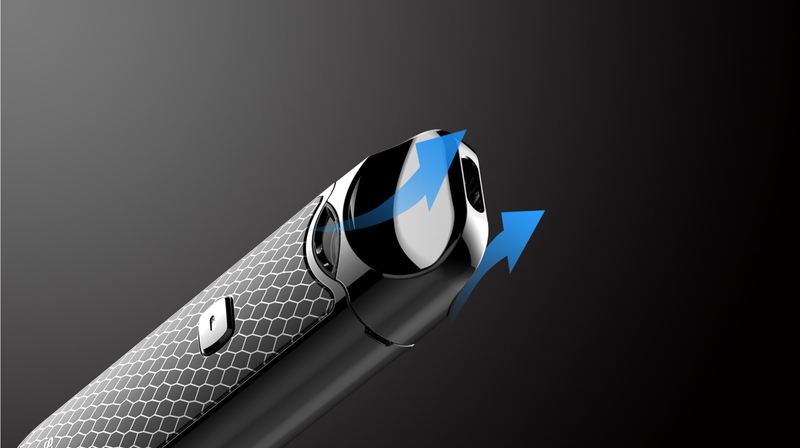 The LED light on the button serves as a battery indicator. 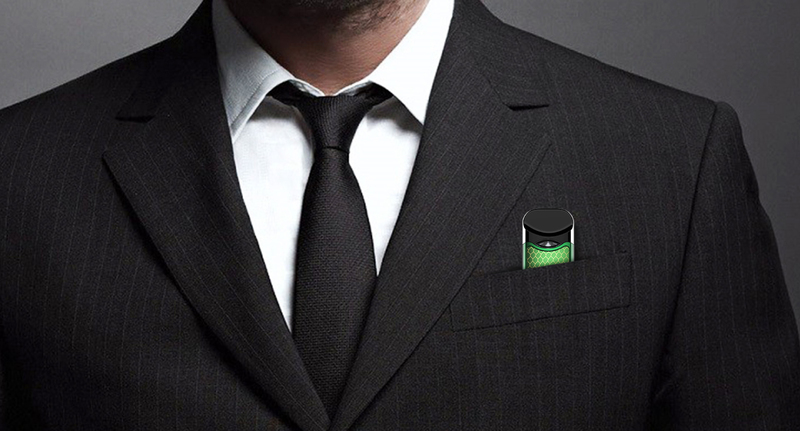 Press it twice to illuminate a red, orange or green light. 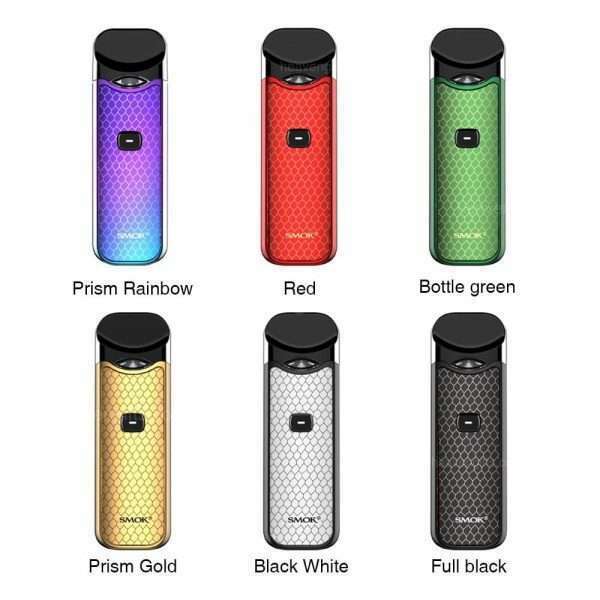 Red light will means battery power is lower than 30%, orange light power is between 30% to 70% and green light power is between 70% to 100%. 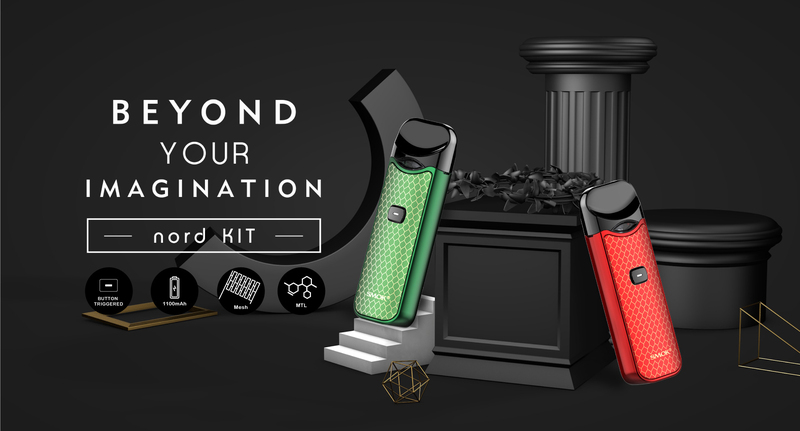 NORD provides multiple types of protections to avoid potential risks. 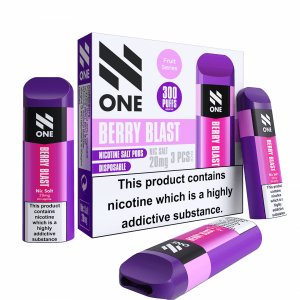 20mg Nicotine Salt for true nicotine satisfaction.